Your great, new electronics product is almost ready to go. All you need is ICT testing (in-circuit testing) -- or perhaps another method of testing. How thoroughly will the test cover the circuit board? Can the testing method adapt to a variety of PCB designs? Will the test require programming? Will the test require custom tooling? Will the test cover connectors or non-electrical components? Will the test cover components that work together? Will the test actually power up and simulate use of your product? Here’s how in-circuit testing can help your PCB design reach the standards it must meet to make it to market. What is ICT Testing (aka ‘Bed of Nails’)? A bed-of-nails ICT uses fixed probes in a design that fits a specific circuit board. To test it, your manufacturer presses the board down on a bed of probes. Needles that come up from bottom to make a connection with the circuit. Boards are designed to allow access by those pins. The tester uses those pins to measure values. A nice touch: We can configure the test so that if it fails, it can print out a report that tells you where to troubleshoot. For example, the tester can tell you if a resistor or capacitor is getting a low reading. The ICT is a fully automated test. It can involve technicians giving OKs here and there, but for the most part it will do the measurements without human input. Your contractor loads the program, the tech hits the “start” button, and you find out a minute later whether your product passes or fails. Another feature of the in-circuit test is it can use suction cups to measure the tensile strength of chips and make sure the solderability is solid. Although a bed-of-nails ICT offers less flexibility than a flying probe tester (more on that below), it also has some significant advantages. The biggest draw for users of in-circuit testing is the consistency. You get the same test the same way, every time. During ICT testing, each component is tested individually by the automated equipment. The tester checks for logic functionality. Unlike most other tests, it actually powers up the components. This thorough coverage saves maintenance and repair costs by making some other tests unnecessary. An in-circuit tester is very low-maintenance. The absence of moving parts minimizes downtime and therefore keeps your supply chain moving. So does the speedy nature of ICT. All in all, it’s fast and cost-effective. It can perform on-board verification of FPGAs. It can turn on and test LEDs. It can check a bottom terminated component (BTC)’s solder integrity. How Much Does In-Circuit Testing Cost? Another advantage of in-circuit testing is that you don't have to design the test procedure up front. If you had planned to spend $50,000 to order a test procedure, you may want to consider spending $20,000 on an ICT instead. The average ICT is $20,000, but cost varies with size and complexity of the board. The more complex the PCB, the higher the cost. Remember, because of its effectiveness and ability to potentially render flying probe and functional testing unnecessary, you may still save money long-term other these and other options. With in-circuit testing, your board has to be designed to fit with the in-circuit test fixture. Your electronics contract manufacturer often can’t take an existing design and retrofit it for the test. So if you want to in-circuit test an existing PCB design, you may have to alter said design. Because the “nails” come up from the bottom of the PCB, you need to have as many access points as possible on your board so those nail can reach their destination. Unless it has superpowers, your contractor can't use a visual inspection to power up the circuit to confirm it works. That’s not to say humans have no value in the inspection/testing process. You can still request a visual lookover an ICT and automated optical inspection (AOI) can’t test.. You’ll still save money on a manual inspection. Many purchasers sourcing out electronics manufacturing services compare ICT and flying probe testing. Unlike a bed-of-nails or IC tester, a flying probe test fixture features both movable probes. These probes allow the machine to be reprogrammed to handle a variety of circuit boards. Most often, a flying probe test sees use during early product development and for low-volume orders. When a flying probe goes down, there could be a handful of things wrong that take significant time to fix. Bottom line: The ICT can do everything the flying probe can -- and then some. Still, talk to a trusted electronics manufacturing services provider for advice before you make any testing decisions. Click here for more on ICT testing vs. flying probe testing. Who Should Be Using ICT? 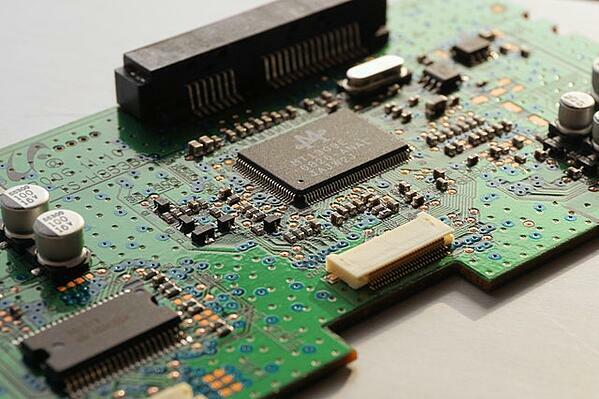 In-circuit testing works best on surface mount technology (SMT) design. You're also best off sticking to one-layer, one-side designs if you want the use ICT. You don't want to pay the up-front cost for this test if you’re ordering 100 circuit boards. We’re talking orders of 3,000 PCBs or more before ICT becomes a viable option. You can help diffuse your costs by spreading testing out over a large quantity of boards. Matric uses an Agilent (now Keysight) 4570 Gen 5 ICT machine. We calibrate them once a year to ensure everything is within standards and specs. With in-circuit testing, your goal should be 95-96% coverage -- that’s our goal with the 4570 Gen 5. The more coverage you get, the more components it tests. Thanks to this machine, downtime is minimal, and so it your lead time. Because there are barely any moving parts within, the machine rarely has issues. When you’re averaging 1 minute per test, like you get with this machine, there’s virtually no backup while waiting for other companies’ projects. Troubleshooting your product is also a lot easier than with alternatives. This, of course, eliminates downtime in the rare event a build doesn’t work out at our facility of skilled, experienced engineers. There are outside companies that design in-circuit test fixtures. They can prepare the ICT design fixture without a PCB manufacturing and assembly company like Matric being involved. But we at Matric also design text fixtures if you need it. Another path to the same success: If you have an existing ICT design, you can export it to Matric. As long as it's a compatible machine, we should have no problem switching it over for you. 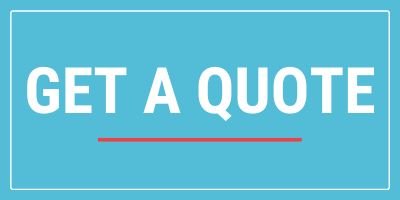 If your project is a fit for in-circuit testing, contact us. At the very least we can answer your questions about costs and what else to expect. If you’re looking for a more comprehensive suite of services from your contract manufacturer, we can help there, too. Just grab a free brochure below!